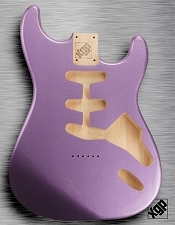 XGP "Purple Haze" Metalflake Strat® Body "Swimming Pool Rout"
Home > XGP Guitar Parts > XGP Strat Style Bodies > XGP "Purple Haze" Metalflake Strat® Body "Swimming Pool Rout"
Each XGP Strat body is cut from solid alder... dense and toneful with MAJOR sustain. 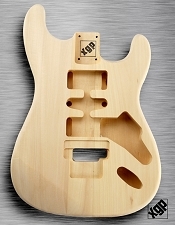 We rout each body to exact 1963 Stratocaster body specs... using MY OWN 1963 Strat as the template. 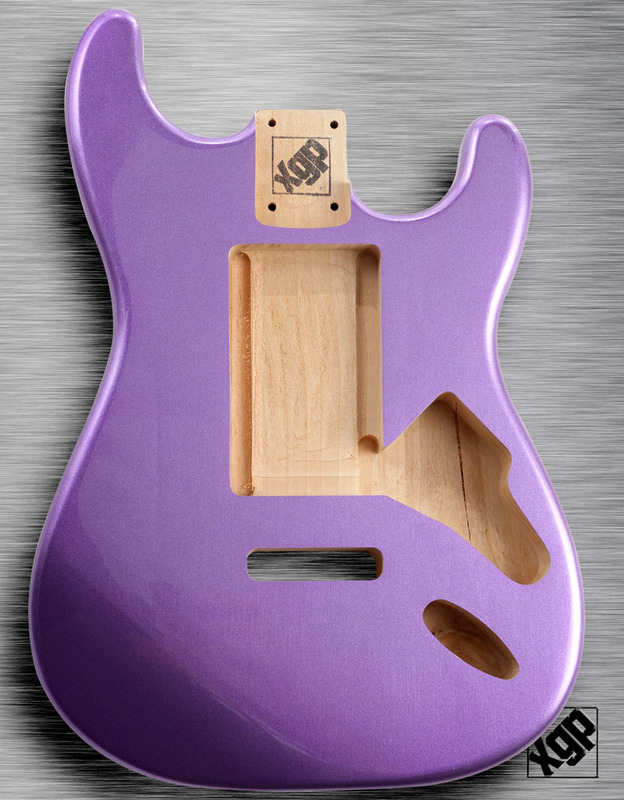 Each body is hand-sanded, hand painted, hand polished to a perfect finish. This is a level of quality that YOU HAVE NOT SEEN at anything near this price. 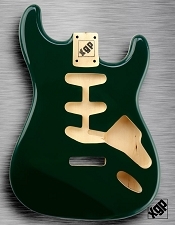 This particular guitar features a unique type of metalflake- The metalflake is actually silica- GLASS- super reflective and looks almost like it was poured onto the guitar! These will look amazing on stage! 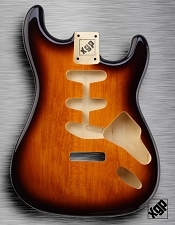 This is the Fender USA style "Swimming Pool" rout that can accommodate ANY pickup combination! 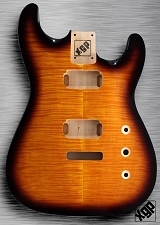 The neck pocket is routed to a vintage correct 2 3/16" width, and fits our necks and most real Fender Brand necks perfectly. 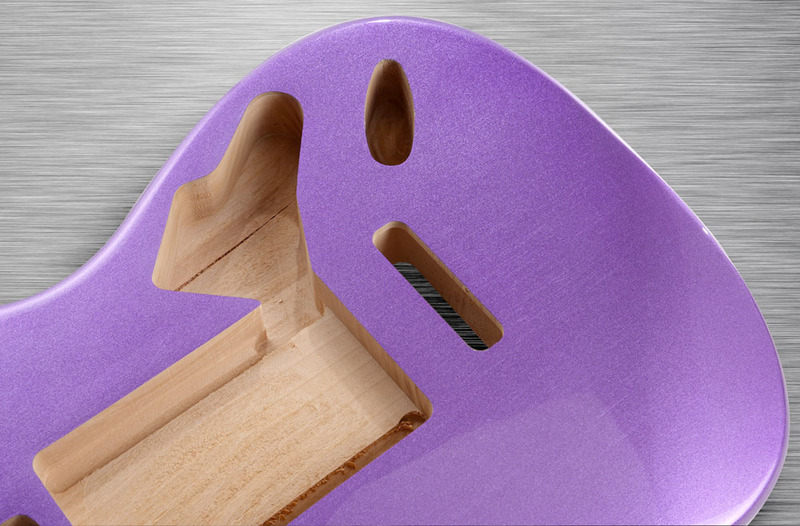 Take a good look- the thin, hard vintage finish, the perfect contours- the USA spec trem rout. We're so fastidious about quality that we rout the bodies, prime them, sand them, paint them, wet sand them, polish them and THEN ROUT THEM AGAIN to create the pristine, perfect cavity you see here. 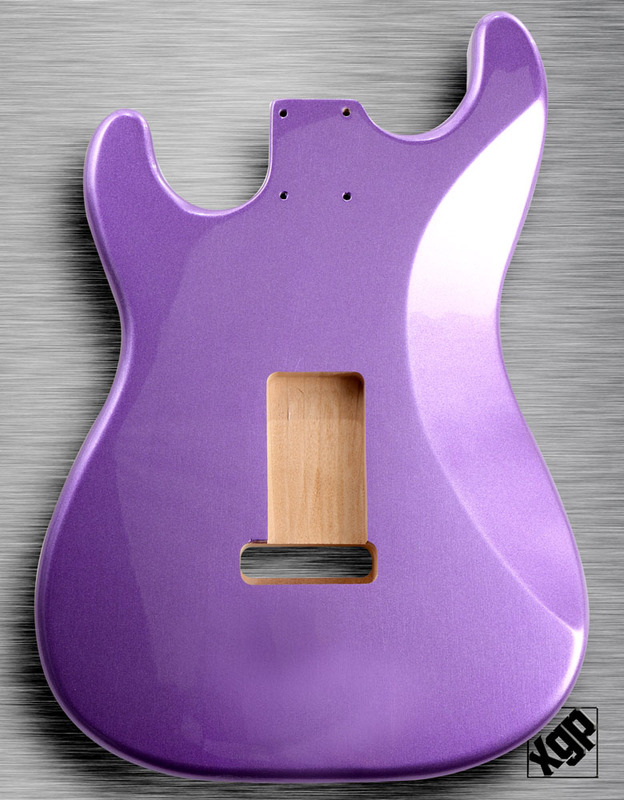 There are cheaper ways to make a body, but none better. 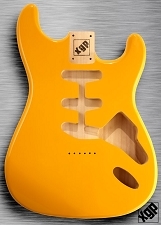 XGP Professional Strat® Body Monaco Yellow Hardtail! 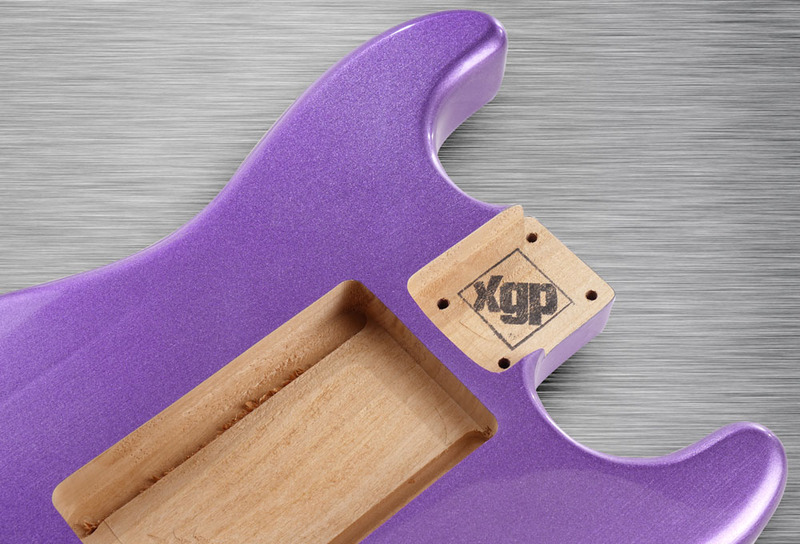 XGP Professional Strat® Body Purple Haze Metalflake Hardtail!